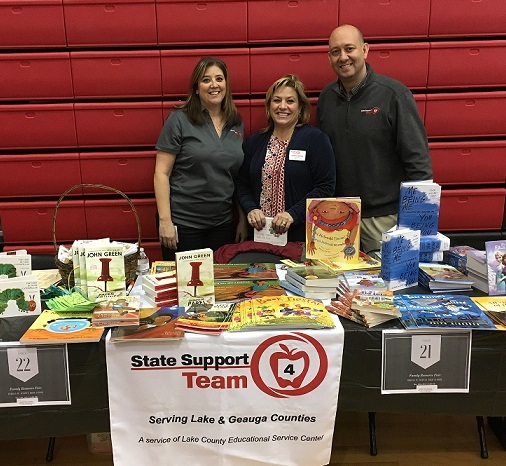 State Support Team Region 4 offers several learning opportunities to our local school districts and families residing in Lake and Geauga Counties. Our family engagement consultant provides assistance by connecting families wishing to become surrogate parents to represent a child with a disability who may need special education services. Families needing special education related support can be connected to Parent Mentors within our region. The State Support team consultant can also provide resources to families that need support navigating state and federal special education initiatives, laws and regulations for children birth through age 21. The State Support Team Region 4 facilitates the Family and Community Engagement Committee which brings together both educators and families from our region. This committee serves as an advisory group consisting of district parents, educators, and community representatives, assisting with regional family engagement planning, resource sharing and networking.